Godin 370 - Should It Have Door Seals? I'm not from NEPA but stumbled over this forum and it seems to have a lot of people knowledgeable about coal stoves - so it seems like a good place to ask this question. I have a Godin 370 that I'd like to get into service - it has sat idle for many years. As far as I can work out from my research it dates from around the 1920s (1913 Godin brochure lists the 360 model while the 1931 brochure lists the 370A as a replacement for the 370). As it is now, it has no seals / gaskets on the ash tray door, main door, or top filling door. There are no recesses in the doors for a rope type seal and no signs of any previous flat gaskets anywhere. It looks to me to be designed to clamp shut metal on metal with threaded closures rather than latches. I have been unable to find any information on this model other than the Godin sales brochures - apparently the difference between the 370 and 370A that replaced it was the addition of asbestos gaskets (eek). I'm also struggling to work out how to get the lower fire basket part installed correctly (excuse my poor terminology!) it just doesn't seem to fit right any way I put it in. The thing has clearly been run without it in the past and badly overfired as one of the lower mica panes has bubbled out and the enamel finish has burnt off the top - it scares me to think just how hot it must have got to blow the enamel off the exterior! Anyway - were these things ever designed to be run sans gasket? And how on earth is this lower fire basket part supposed to fit? Does reviving this look like a lost cause? Stove/Furnace Make: Glenwood No. 6. Location: Maryland and Wanting Out !! 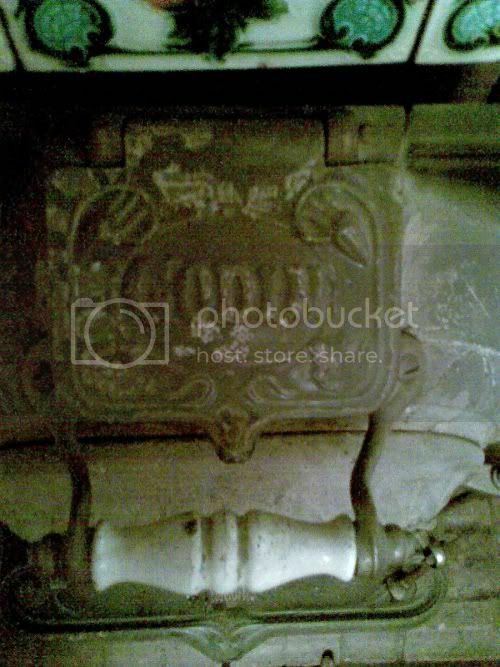 That is a real interesting stove, I am not an authority and someone with a lot more knowledge then I have will give better info but I don't think it was originally made to have gaskets. 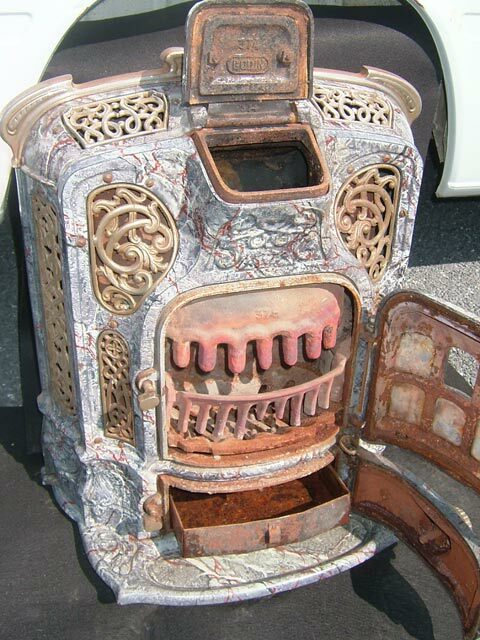 There were several stoves made back in the day that were air tight without the use of gaskets. 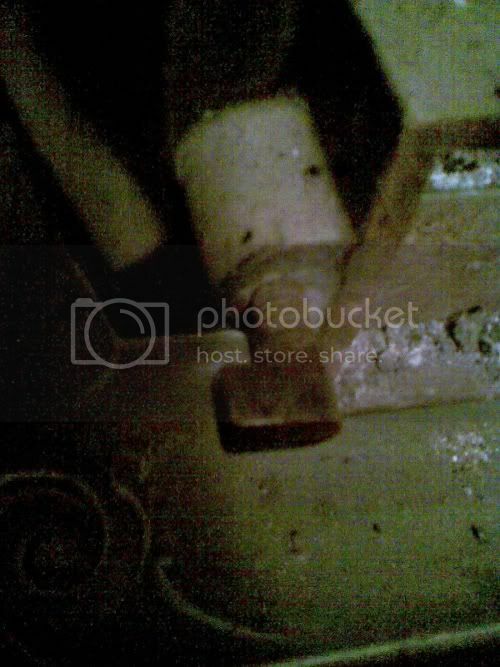 As for being a lost cause, that would depend on things like cracks ect, but your looks to be in decent shape to warrant further disassembly to go through the stove and check and reselling all the seams and joints with furnace cement. I bet that tool is a rare option to have these days . I am not familiar with that stove either but we do have several people here who can give you some guidance. Pierre or William for sure will know about the "basket piece" and it's placement or function. I do know, because this applies to many coal appliances, that the loading door (gaskets) probably does not require a gasket, nor did it ever have one. More importent for fire control is that ash pit door. Everything below the grates and coal bed needs to be tight in order to have good control. That said, I doubt that the ashpit door ever had gaskets either. These were machined to fit tightly. Try a dollar bill test. Close a bill in the door and see how much resistance it takes to pull it out all around the door. If it slips out to easily, you may need to shore this up by adjusting the closure and or the the hinge pins. Pierre will tell you that a gasket on that ash pit door can also help, done correctly and if you are not able to get it tight otherwise. It's a nice looking old unit and worthy of a refurb in my opinion. You don't see many Godin's like your insert/baltimore style model. There are plenty of pictures if you click your way through the homepage, some show in detail where the "teeth" should point. I´d suppose there were no rope gaskets, but some people on the forum have experimented with thin layers of high-temperature silicone as door sealing method. User "nortcan" would be the person to ask, if I remember correctly. I tried the dollar bill test on the ash door - it clamps really tight on the upper edge (couldn't move the bill at all) but not on the lower, so that's going to need some adjustment. I'll whip the door off and put it on a flat surface to see how far out of true it is. I know a machine shop that will be able to square it up if it's not too bad. 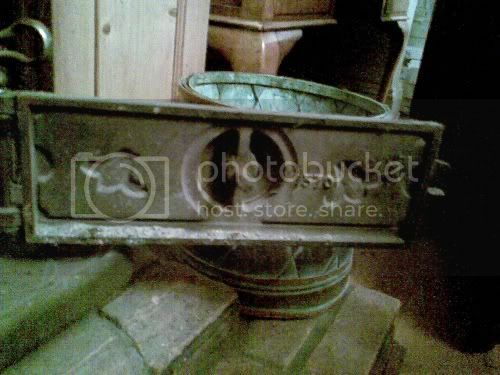 Thanks to firebug's link I found a useful pic of a 374 here: http://arnauld.divry.pagesperso-orange.fr/ImagesA ... din_02.jpg which shows how that lower part of the fire pit fits. No wonder I couldn't make it fit - I presumed it went the other way up. Bad news is when trying to fit it correctly I discovered that the upper section above it has corners smashed off it so it has dropped a few inches, I can push it back up sort of into place but it just drops down again. Also at some point someone has managed to shove a poker through the back of the casting into the flue outlet, making the opening much larger than it should be - not sure how much of a problem that may be. Welcome to the forum Graham. Not very familiar with those models here but it can be a nice restoration project and the results would be very nice. 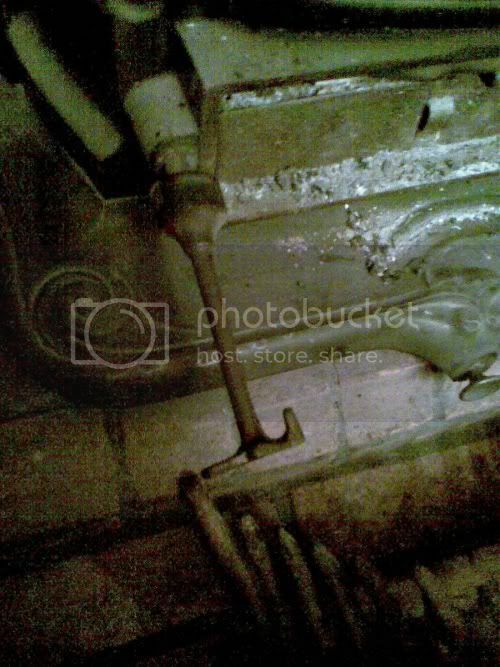 Looks to be a non-gasket stove. The most important about "air tight" is the lower sections of the stove, the ash pit door must be as air tight as possible and also the air control, if you want to burn ant and be able to control the fire rate. 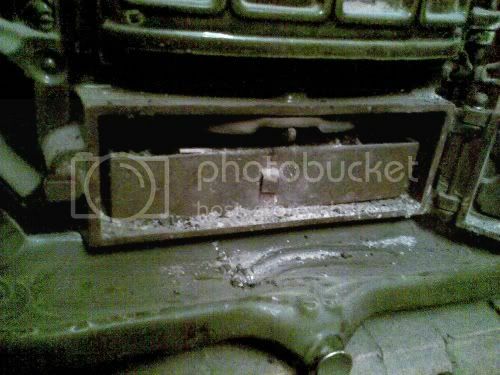 Some stoves are quite metal on metal air tight but the surfaces must be very flat and you should have good hinge pins. For the upper sections it's not so important but if possible and easy to make things more air tight go on if you want it more air tight. On my Sunnyside I made some slots at the bottom of the top doors mica, the 3 mica in the center, to get some air for over the fire gases burning. But too much air is not always better, if too much air come in the stove from everywhere, the combustion air will by-pass the coal bed, air loves the easiest paths. Then controlling the stove can be harder to do as keeping the stove burning for long periods. Thanks for the reply and welcome Nortcan. I agree, it doesn't appear to have been designed to have gaskets, rather cast and machined to very tight tolerances to be metal to metal. I rather admire the engineering to be honest, particularly in cast iron. Having spent many years rebuilding, tuning and fettling both two and four stroke racing engines I'm no stranger to plastigauge, micrometers and the difference a few thous make between a seized engine and a sweet as a nut one. It's interesting the 370 was replaced by the 370A which incorporated asbestos gaskets (as far as I can glean from the Godin brochures and my rather poor grasp of the French language). Perhaps slight door warping became a known problem so they introduced some "squish" to the mating surfaces with the gaskets - we'll never know I guess, lost in the annals of time. I'd rather machine the ash box door surfaces to mate correctly than resort to fitting a gasket - call me bloody minded, but that was how it was designed so it seems right to be true to that design. Anyway, ash door aside - this is turning into quite a project. Having spent a couple of hours poking around with torch in hand it looks like I'll have to have at least 3 pieces of the fire pit recast. 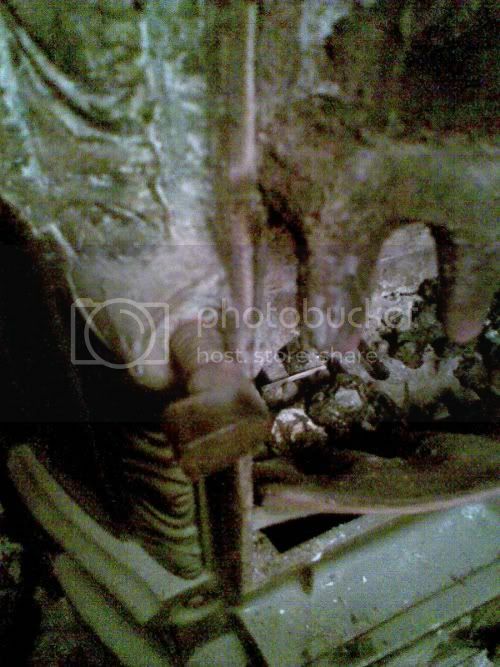 The upper front piece has broken corners so it is sitting a couple inches too low, the lower front piece (pictured in my OP) has a few teeth missing and then there is the rear piece that forms the exit to the flue that appears to have had a poker shoved through it at some point. 2. Find some way to blast the rest of the enamel off and go back to black. 3. Blast it off as above and re-enamel. Bad thing is, I don't know of any blasting process that will remove this kind of enamelling. 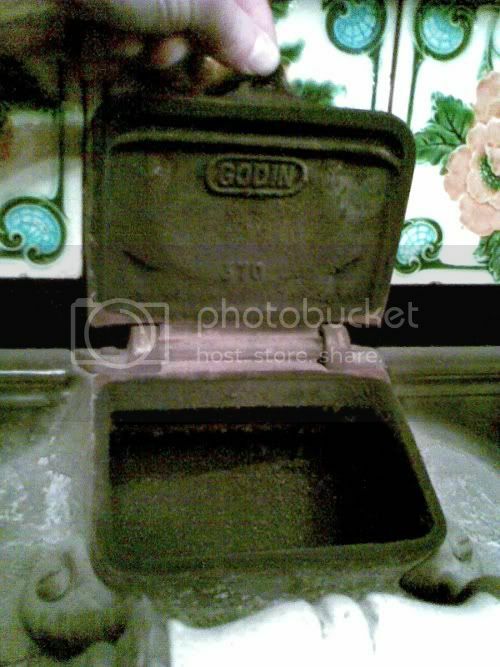 Defiantly do the refurb of the Godin, once you get it done you will have a stove that may very well last to be handed down to the next family member. 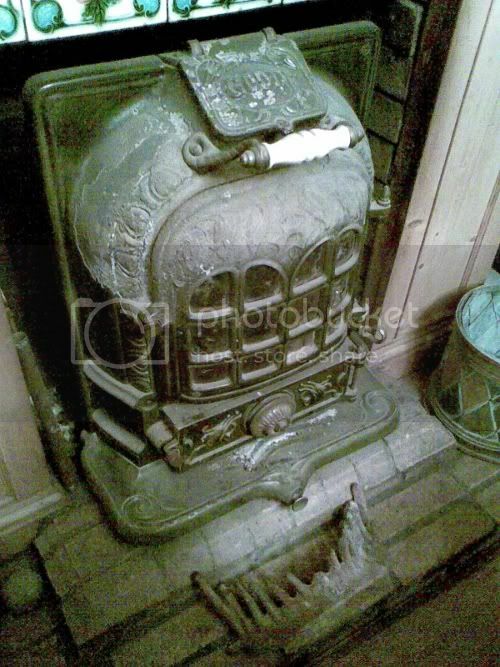 The understanding you will have of that stove will be second to none and a "modern log burner" won't hold a candle to a correctly refurbed coal stove, (just my opinion). Are the enamel tiles individual and able to be replaced as needed if others were found or is it a coating over a solid piece ? 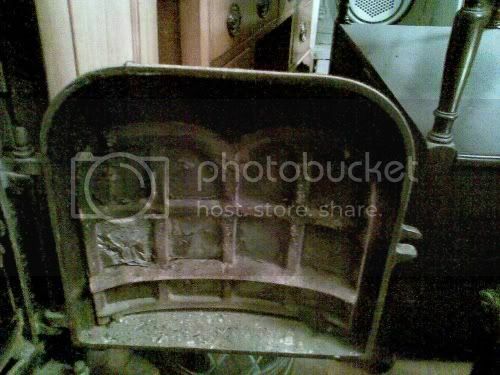 I remember going to The Stove Hospital and Emery Had a stove or 5 similar to that, ask him about the enamel and if it may contain anything negative if a person were to try and remove it. I quite agree - my sensibilities are shouting at me to refurb the stove. It's done 90ish years so far, with a refurb it can easily do another 90. It would be a nice little project to boot. 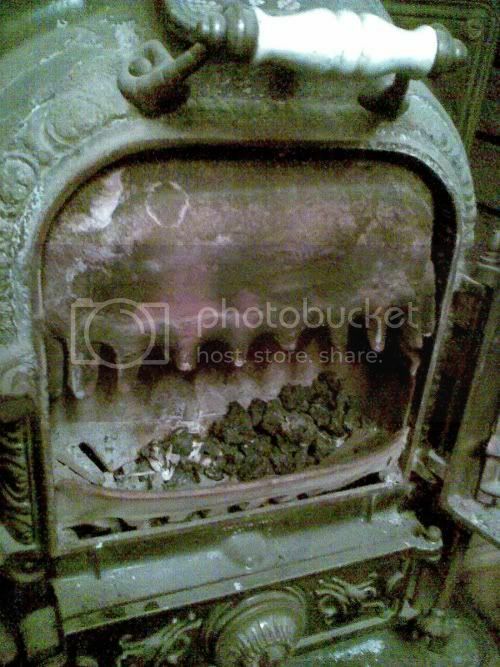 I don't see any modern log burner lasting even a fraction of that time. And the thought of chucking it in as ferrous scrap rather than fixing it up makes me feel a little bit ill, it's well engineered and just needs some TLC to be brought back to life. The enamel coats the entire frontage of the stove (see my first pic in the OP) - it's a real deep green enamel, apart from where it has been cooked off at the top of the thing at some point. The pics don't do it justice. There are no replaceable tiles, it would require replacing the entire frontage - if it could even be found. I don't think the enamel contains anything nasty per se, just it is incredibly hard to remove with current sand or bead blasting techniques. Maybe I can get friendly with a cast iron forge and have them drop the disassambled bits into their fire and roast it off without melting the structural iron. I obtained a Godin 730 A this past weekend and it looks to be in great shape except for that bottom basket like in your photograph. I don't see anywhere for it to install either but surely something must go there to keep a large amount of coal stoked in the stove? 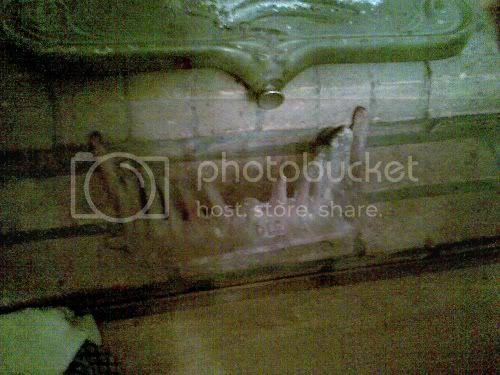 I will take more photographs to show what I am talking about and post on the thread I started about my stove. Did you get that bottom part cast? How is your refurbish going?